An architect is an artist who designs structures to enclose residential, commercial, or public space. Architects work with construction technologies, building materials, topography, contractors, and governmental regulations within a project budget to satisfy their clients' wants and needs. "Architectural news, reviews, photos and articles about famous architects, buildings, the architecture park, exhibitions, events, links and much more." GreatBuildings.com - The leading architecture reference site. "This gateway to architecture around the world and across history documents a thousand buildings and hundreds of leading architects, with 3D models, photographic images and architectural drawings, commentaries, bibliographies, web links, and more, for famous designers and structures of all kinds. For up-to-the-moment coverage of the latest buildings, designers, ideas, and trends, GreatBuildings.com is richly cross-linked with ArchitectureWeek, the leading architecture magazine online." - Artifice, Inc. The Life of architect, Louis Sullivan; A guide to his buildings; Links to other general-interest Louis Sullivan pages. The Frank Lloyd Wright Foundation is committed to advancing the ideas and principles of organic architecture, organic education, and conservation of the natural environment. The Foundation also seeks to preserve and enhance the lifetime contributions and ideas of Frank Lloyd Wright, and make available to the public opportunities to study and experience organic architecture. 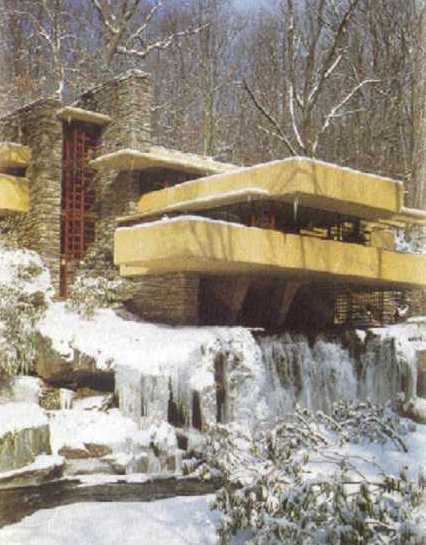 This site offers a complete guide to Frank Lloyd Wright's built work, along with pages concerning other aspects of this important architect, such as his life and quotations. Also included in these pages are hundreds of organized links to other sites of Wright and related interest. This site is intended to encourage and assist in the appreciation and study of Wright and his important work.